The Beerhunter: What the hell is a Milkshake IPA? The Beerhunter: What the hell is a Milkshake IPA? The Beerhunter: What the hell is a Milkshake IPA? Home » Columns » The Beerhunter: What the hell is a Milkshake IPA? The mountain drive from Montpelier up to Burlington is, of course, beautifully scenic. But a Valley Beerhunter has homework to do, even on the occasional summer camping trip. So I pulled off the highway last month in Williston, VT to stop in at Burlington Beer Company, where I got to know the milkshake IPA. A few local brewers make milkshake IPAs here in the Valley — I’ve tried and enjoyed several — but Burlington is the place to really get to know the haziest, cloudiest styles on the market right now. And the menu at Burlington Beer Company didn’t let me down: Among other selections, I found and tasted a maple and black raspberry milkshake IPA, as well as a peach cobbler milkshake IPA, both brewed with vanilla and milk sugar. I know these aren’t for everybody, and I know that some of my friends and family will wrinkle their noses at the idea of treating beer like a dessert (maybe I can change their minds by bringing a growler to Thanksgiving). And it’s true that these are called milkshake IPAs because, on a certain level, they emulate what is most appealing about actual milkshakes: a certain level of sweetness and creaminess. Beyond that, however, breweries’ paths diverge. In the craft beer kitchens of the world, brewers are always intent to put their own local mark on what they produce, which makes this column’s occasional spotlights on a beer style rather tricky to summarize. 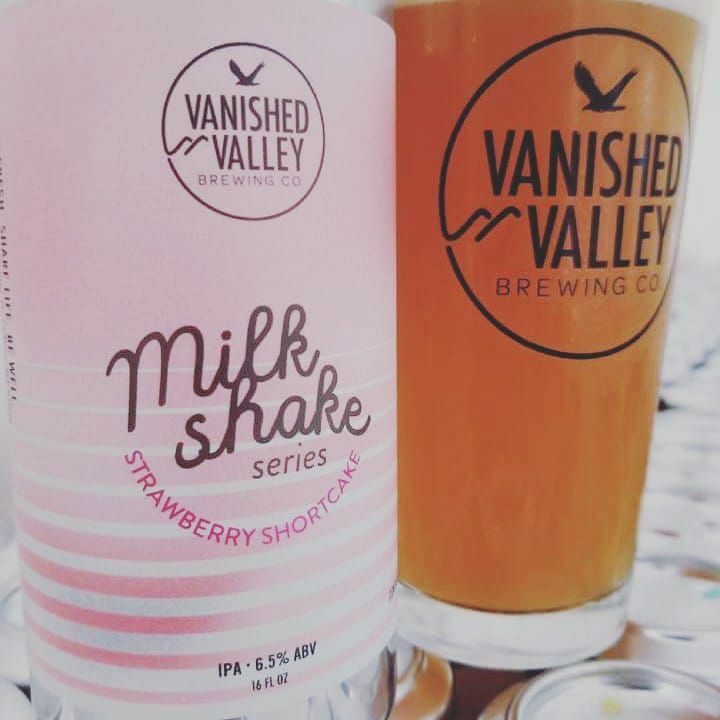 The popular milkshake IPA series recently launched by Vanished Valley Brewing Company in Ludlow has featured ingredients such as peach, juniper berry, pineapple, mango, and strawberry shortcake. I asked Mike Schilling to give it a shot. He runs the homebrew shop and education center, Beerology, in Northampton, along with Jordana Starr. Among other things, Schilling teaches a homebrew class on milkshake IPAs once or twice a year. Schilling says he first heard of the milkshake IPA style back when he was the beer buyer for the specialty food store Provisions in Northampton. It was on those shelves that Valley residents could sometimes find milkshake-style IPAs, often from the Swedish craft brewery Omnipollo, which is considered one of the pioneers of the style. A few years ago, a collaboration between Omnipollo and Tired Hands Brewing Company in Pennsylvania led to Tired Hands launching a milkshake series of their own, with more than 20 hazy beers made with lactose, sugar, oats, and fruit ranging from blackberries to watermelon. This did a lot to popularize the style in the American craft beer market. The big difference, he says, is the addition of lactose — an ingredient that fans of certain darker beers, like Left Hand Brewing’s Milk Stout or Brewmaster Jack’s Total Eclipse Rye Porter, may already be familiar with. 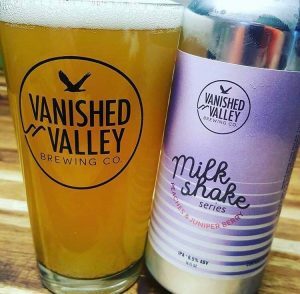 When I asked Valley craft beer drinkers which milkshake IPAs they’ve tried and enjoyed, one name really stood out: Vanished Valley Brewing Company in Ludlow. I asked head brewer Josh Britton about his popular milkshake IPA series, which so far has featured three beers. The first was made with peaches and juniper berry. Britton followed that up with a pineapple mango milkshake IPA and a strawberry shortcake milkshake IPA. Vanished Valley is considering ideas for future milkshake IPAs in the series — perhaps a blueberry cobbler, for example — but Britton says he doesn’t want to go overboard with crazy ingredients. “But we love to have a whole series to play around with, and people are drinking them up like nobody’s business.” Vanished Valley, still a small operation for the time being, is canning everything it makes, and sells cans on-site at the brewery, which is attached to Europa’s Black Rock Bar and Grill in Ludlow. The style is a good opportunity to practice blending and balancing flavors, Britton says. He likes to add vanilla beans, which he says helps to round out the beer and make things softer, like you would in an actual milkshake. Britton says that the last time he opened can sales for the strawberry shortcake, he sold 80 cases in four hours. 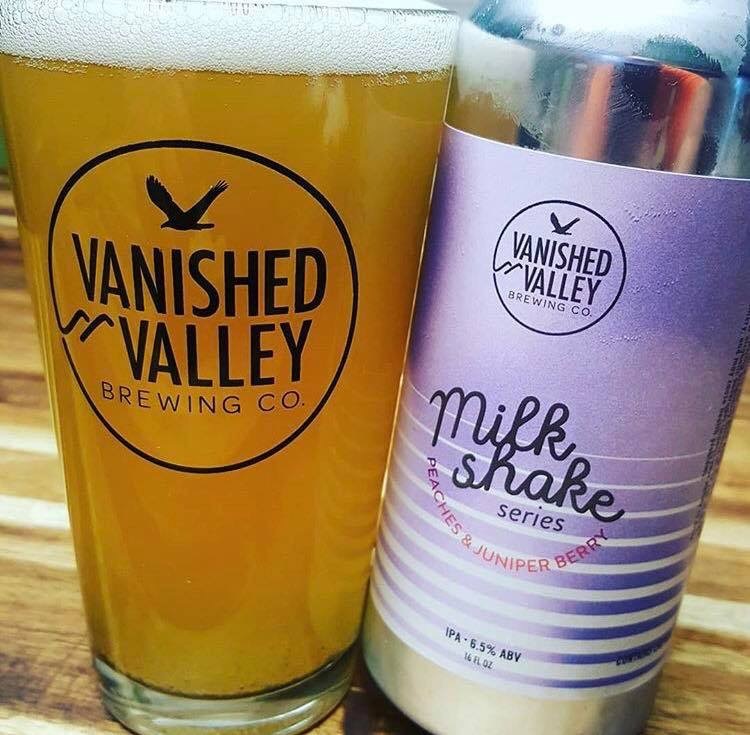 Although Vanished Valley makes a wide range of beers, milkshake IPAs seem to be a major reason that the brewery will be entering a phase of expansion in 2019. It looks like milkshake IPAs will be available from some of the Valley’s newest breweries as well. 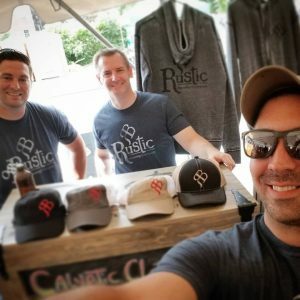 Rustic Brewing Company founders Eric Paul, Todd Kopiec, and Jared Methe won a Brewer’s Choice award at last year’s Connecticut River Brewfest for their lavender milkshake IPA . Eric Paul runs Rustic Brewing Company, which is starting up operations this fall in the Indian Orchard neighborhood of Springfield, in an old mill building along the Chicopee River. Along with his business partners Todd Kopiec and Jared Methe, Paul has been winning awards at recent homebrew competitions — including at last year’s Connecticut River Brewfest, where Rustic won Brewer’s Choice with a lavender milkshake IPA. “People envision this milkshake style paired with a fruit,” Paul says, “but in our case, it’s lavender. It has a juiciness to it, like a juicy New England-style IPA, but it also has a soft and creamy palate as well.” Rustic has also made a mango milkshake, which Paul says shares that sense of creaminess and denseness and sweetness.